Who will be the winners in 2012? One of the themes at this year's Promax is future-proofing for 2012. So what will the media landscape look like then? Broadcast asks five industry figures to predict the trends and technologies that will affect TV's marketers and creative directors and the new skills and knowledge that will be needed to survive and prosper. Part of the problem of thinking about what our industry might be like in 2012 is working out which industry. You might be still saying: "I work in television" in 2012, but who would be paying you? Sky, ITV, Google, BT, Sony, the licence-fee payer? Will you work in broadcasting? Already this looks like a misnomer outside the top 10 channels. There is an avalanche of technological change transforming consumer behaviour and in turn television, telephony and the internet. Last year which of us knew about BitTorrent? Who has shot for HD? Who has read a blog? Written a blog? Downloaded a podcast? Downloaded a movie? "The future is here. It's just not widely distributed yet." This thought - widely attributed to sci-fi author William Gibson - is valuable. Clues to the trends that will rock your 2012 world are already looming into view. They are not all hidden in the new product development sheds of Mountain View, Osterley or the Redwest Campus. The last time people seemed to know what the future was going to be like was at the height of dotcom foolishness. There was much talk of "convergence", "triple play" and the whole hope that there could be one provider for the digital home. Five years later the jargon has changed but the themes remain the same. Recent corporate shenanigans such as NTL and ITV rummaging around the next Premiership deal, the rumours that Sky is going to splash out on broadband or Apple turning the iPod into a video player are all examples of various companies playing in each other's backyards. Apple is trying to get in early on one possible future. Say you see a trailer for Lost on iTunes and you download it to watch later. The interesting bit is not trying to watch a drama on a two-inch screen on the bus, but that iTunes could now be a place for certain consumers to get their next bit of TV. When we reach the kind of download speeds common on Japanese and Korean broadband systems will you want to wait for a television channel to schedule the next episode of your show? If you trust Apple as a brand more than, say, ITV, will you check out its content first? In this sort of future what exactly will a television brand do? Interesting times to work in. Twenty years ago TV was relatively simple: broadcasters made programmes; advertising agencies made commercials. Glossy, creative and expensive TV commercials. They then bought airtime from ITV or Channel 4 and ran the commercials. In 2005 we have a vastly more complex television economy. Much of broadcast television is still funded by advertising. But the traditional funding model is coming under increasing pressure largely through the revolution brought about by new distribution, production and response technologies which have empowered the viewer. With the explosion in TV channels, growth in PVR technology, IPTV and other ad avoidance technologies, the old "interruption model" 30-second advertisement becomes increasingly shaky. When you factor in the advertising industry's comparatively longer production timeframes and slow-moving adoption of new technology, it is clear that much of the TV-advertising world is at odds with the fast-moving broadcast television production world. This month we are seeing, for only the first time, a TV ad that threads red button technology into the heart of the creative execution (Smirnoff). It is perhaps telling that red button has been available as a broadcast tool for several years. What advertisers are beginning to look for is efficient ways of using consumer-facing television (in all its emerging digital forms) in a more immersive, engaging and cost-efficient way. In an increasingly elective digital TV world, viewers control when, where and what they watch. This is a scary prospect for advertisers and something that must be addressed now. It's here that there are valuable lessons that ad agencies can learn from the broadcast production industry about how to create viewer engagement. In particular, the way creative, production and marketing skills are used to form entertainment properties that possess a strong identity which is then expertly promoted and distributed across multiple platforms. Advertisers will need to borrow such models to ensure that viewers choose to engage with commercial messages in the future. By 2012 the concept of separation between advertisement and programme content will be removed. Instead, with the advertiser involved in programme content, the regulator's byword will be a "transparency" of relationship. While it will be important to maintain editorial integrity, this means the feasibility of advertisers embarking on editorially-led marketing campaigns will increase substantially. It used to be said that many of the ads were better than the programmes. That is no longer true - but by 2012, if advertisers are allowed to use television by investing in and developing the best creative talent in broadcast and TV, it can only be for the benefit of the industry, and the viewer. Something called podcasting (no longer a gimmick for geeks) has entered our lives by stealth and is about to change how we consume television for ever. Last week, Apple announced the iTunes music store will be selling the ABC titles Lost and Desperate Housewives ad-free for $1.99. These will be distributed using RSS and iTunes to be watched whenever and, more to the point, wherever you want. DRM issues aside for now, podcasting and pushing content to different devices where the viewer has complete control is where it's at. As bandwidth gets cheaper and the technologies improve, our need to search for what we want will be removed as we simply subscribe to it, wait for it to arrive, and then view it on whatever device suits us at the time. I don't subscribe to the "one device fits all" school of thought, but there will always be a place for the surround-sound home cinema but within the next seven years, this level of control will create a fundamental shift in our approach to content consumption meaning blanket broadcasting will no longer be relevant. Instead, welcome to a world of niche programming with neatly targeted, in-built commercial and promotional messaging being watched at work, at home or on the move. It seems that our once Barb-rated hungry consumers sat waiting to swallow anything we chucked at them have turned (almost overnight) into demanding media-savvy connoisseurs of choice. Being in control suits them and if anyone wants to argue with that, this time last year there were 800 podcasts, now there are over 8,000 - so it seems our viewers quite like being in control! Let's forget all the techy trends which everyone's going to talk about and look instead at something far more exciting: people. How are the people who watch promos going to evolve between now and 2012? Here are three nuggets. First, we are increasingly - defining ourselves not by who we are but who we aren't. "I wouldn't be seen dead in that" will be a defining mantra. Second, demographics are - finally - out the window. We've evolved from who we are through what we wear and listen to into what we do. We are, all of us, becoming chains of different experiences, rather than permanent beings. The links in someone's chain might be gardening, brand consulting, beer drinking, music listening, novel reading, Spooks watching. Each of those activities represents a group of people, a target audience, but they're not ABC1s or stuck in a particular age or gender bracket. And promotions may well need to focus on what people do, rather than their age or gender. Third, promo producers are going to have to learn a new visual grammar. There are clear rules around how people perceive things. In a foreign language film, the subtitles go at the bottom. Top right of a TV screen today, there's a red button. On the web, left hand is "menu", right hand is "ads". So keeping track of an evolving visual grammar is going to be critical if on-air marketing is to be effective. Beyond the endless debates about media evolution and integration, convergence and divergence, we shouldn't lose sight of the fact that watching those promos are real human beings. Predicting the digital landscape in 2012 is a mug's game. Technological change is, if anything, speeding up. The BBC is already previewing some BBC3 programmes online, via broadband. 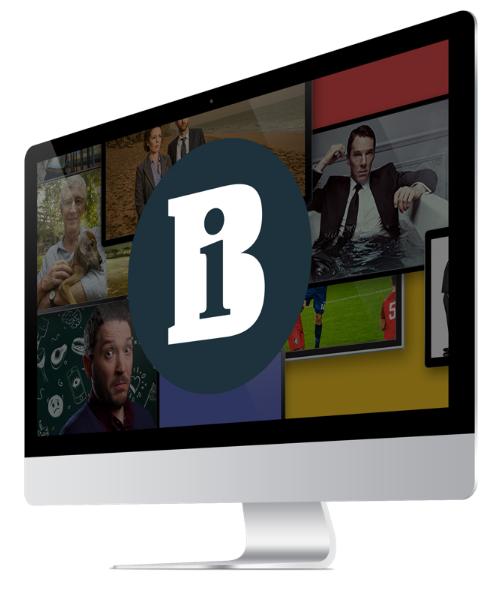 It's piloting a seven-day TV catch-up service and says it will soon be streaming a whole channel online. Radio programmes are being downloaded and podcast and there are TV clips on mobile phones. Sky will soon be transmitting whole channels to mobiles. Next year it launches HDTV. But thousands of people aren't waiting for the broadcasters - they're pirating programmes on the internet through file-sharing. They're using mobile phones to video news events and send the pictures to TV companies. They're watching the news online, blogging their own reports and bypassing traditional media. One thing we can safely predict is that by the end of 2012, analogue will be switched off - though not without problems, particularly in the early stages as viewers in the Borders and West Country act as guinea pigs for the rest of the country. The London Olympics will be streamed on many channels in 2012, allowing viewers to choose the events they watch. Many will watch on their laptops and iPod phones and hours of coverage will be stored on iPod-size personal video recorders. By contrast, millions of homes will also have giant plasma and LCD screens. The only escape from television will be inside the Big Brother house, now screened 24 hours a day, 365 days a year, on four channels - BB1, BB2, BB3 and BB4. The experts featured in this article will be appearing in a Promax panel session produced by Heather Banks at Jam Creative.